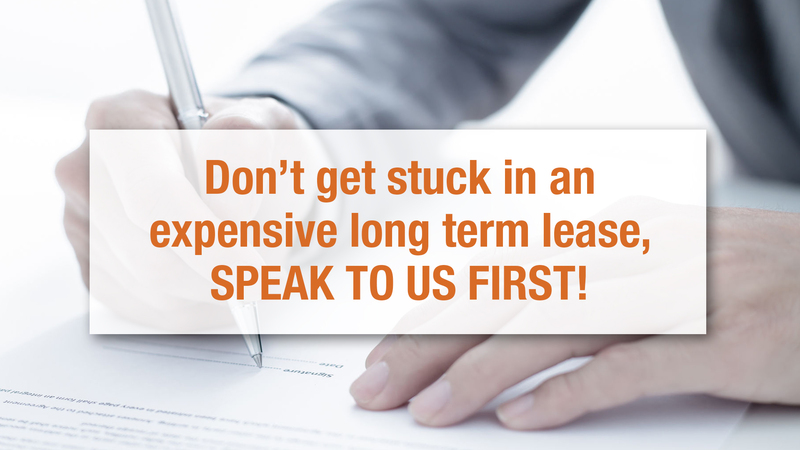 Don't get stuck with an expensive lease... We can help you! Don’t sign a new contract until you have spoken to us! Unfortunately there are too many stories in the press about unscrupulous photocopier leases that leave you with an outdated machine and break out clauses that can cost you thousands of pounds. The average photocopier or printer usually needs to be replaced every 3 years and people that sign these long term leases usually end up getting stuck with an outdated machine that no longer meets their requirements. With Copycare you don’t need to worry about that as we will replace your machine whenever you see fit! And better yet, you don’t need to pay a penny more as it is all included in Copycare’s Latitude Agreement! Although in some occasions we may ask for a small deposit towards delivery but you will of course be notified about that! With over 25 years experience within the photocopier and printing business, Copycare will be pleased to help you. Having good advice on the best course of action to take, will give you the confidence to negotiate an acceptable settlement figure. In the meantime, we can loan you a photocopier or printer of your choice and you can start to experience what it’s like to have no printing stress taking up your valuable time. We will also include genuine toners, parts, labour and servicing free of charge… and all you pay for are the copies you use. We promise that there are no long-term leases or locked down rental agreements… you will be in total control. This is what Anne Thompson of Herne Hill School had to say about the Copycare service. “I would like to write to say that Herne Hill School would have no hesitation in recommending Copycare. Our school has had bad experiences with leasing photocopiers and I would be happy to say to anyone that the flexible arrangement with Copycare is a very refreshing. We would certainly warn people away from leasing photocopiers and towards Copycare. Copycare have been able to assist by meeting our budget targets and providing reliable and strong equipment that keeps everyone happy. Furthermore, Copycare have gone beyond the call our duty by helping us with our lease and contract problem with our other supplier by facilitating a meeting with NAPPS. Copycare and NAPPS were able to steer us through the small print of our contracts working towards a successful resolution. Once again, plain simple speaking advice and agreements from David Cole and his team have made dealing with them stress free and a pleasure. I would recommend Copycare with complete confidence.